Amazon Canada Twitch Prime: Get 12 Months of Nintendo Switch Online for FREE with Amazon Prime Get 12 Months of Nintendo Switch Online for FREE! Game online on your Switch using this freebie from Twitch Prime, because Amazon Prime members can get 12 months of Nintendo Switch Online for free! Simply visit the promo page and log into your Twitch Prime account to claim a free three-month Nintendo Switch Online subscription. After 60 days, you'll be able to claim another nine months of Nintendo Switch Online for free! Originally launched in May 2018, Nintendo Switch Online enables online gameplay, access to a selection of classic NES games, cloud game saves and more! For comparison, a paid subscription is regularly $24.99 per year. Twitch Prime is included with all Amazon Prime memberships -- visit the Twitch Prime page to link your Amazon and Twitch accounts to get started. 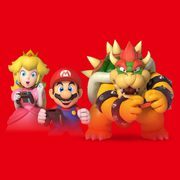 You must have an active Prime membership in order to be eligible to claim both Nintendo Switch Online subscriptions. This offer is available until September 24 for all Twitch Prime members. Note that auto-renewal is enabled after claiming Nintendo Switch Online, so remember to turn it off via your Nintendo account to avoid unwanted charges. Please redeem the 3-month Nintendo Switch Online membership between 3/28/2019 and 9/24/2019. Active Twitch Prime account for 60 days required to claim additional 9-month Nintendo Switch Online membership at no extra cost. Please redeem the 9-month membership by 1/22/2020. Hrm didn't work for me, got the following error: "Error Code 9001-0026"
Damn! Thanks OP! I made a reminder in my calendar to add on the remaining 9 months in 60 days. Wow thanks, if it's free it's worth it!